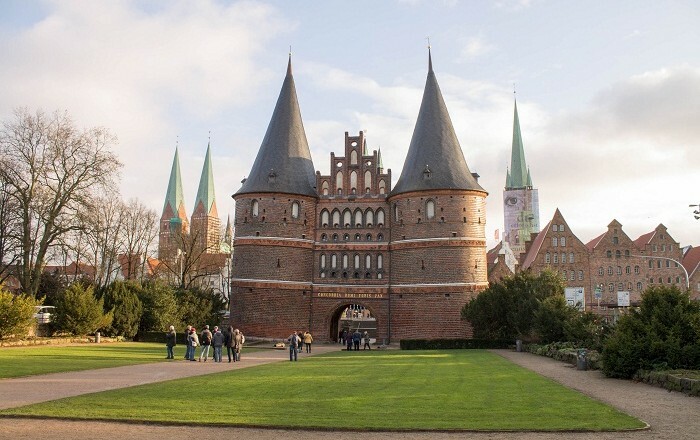 Holsten Gate is one of Germany’s most recognizable buildings, which nowadays serves as a welcoming gate to every visitor of the city of Lübeck. 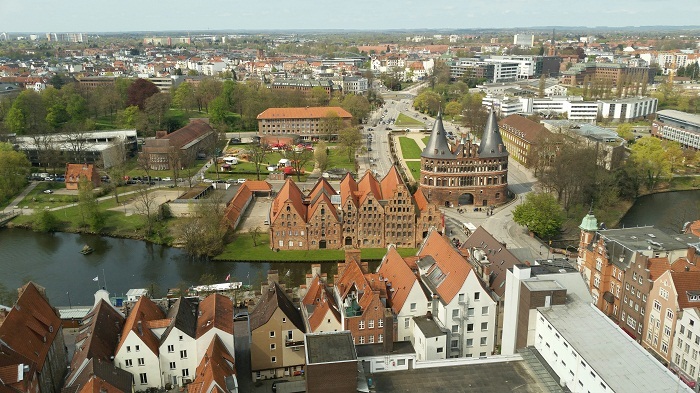 In medieval times, Lübeck was considered to be an important city and owes its thanks to the success of the Lübeck merchants. 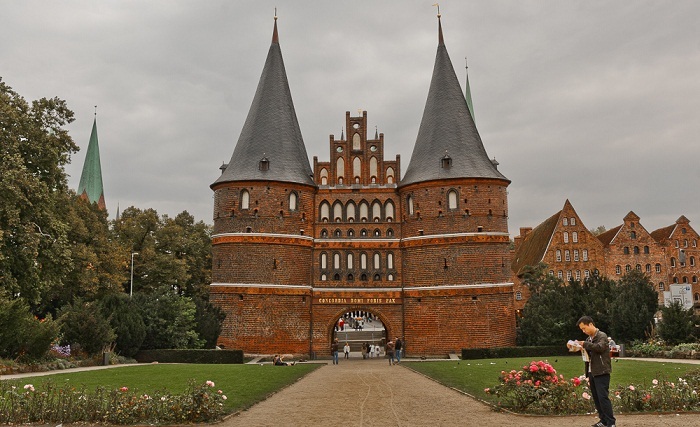 Holsten Gate became the proud symbol of Lübeck as a free imperial city. 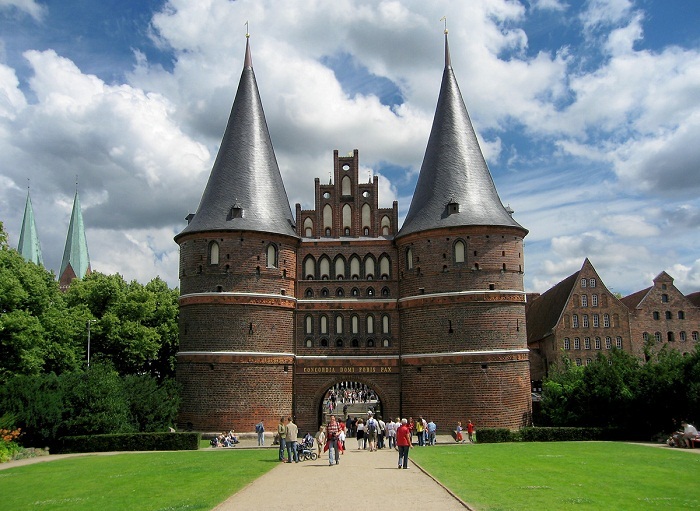 Built between 1464 and 1478 by Hinrich Helmstede, Holstentor was part of the medieval defenses of the city of Lubeck. Its other purpose was also a form of prestige. 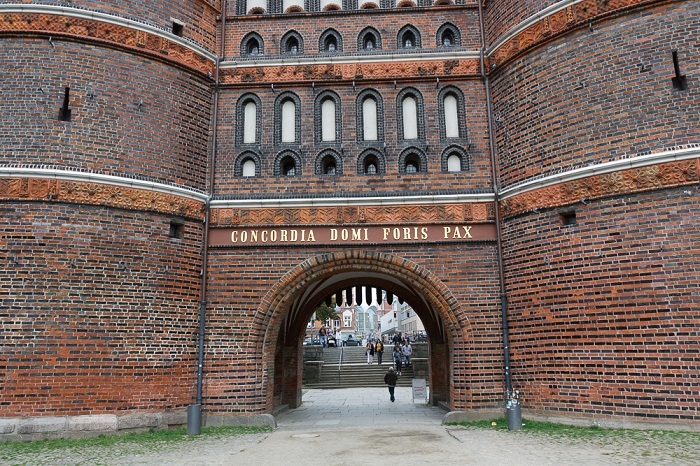 It is one of only two of the original four gates of the city, the other one being Burgtor. In medieval times, Lübeck was one of the member-cities of the Hanseatic League, an important merchant bloc which dominated trade in the North and Baltic Seas. 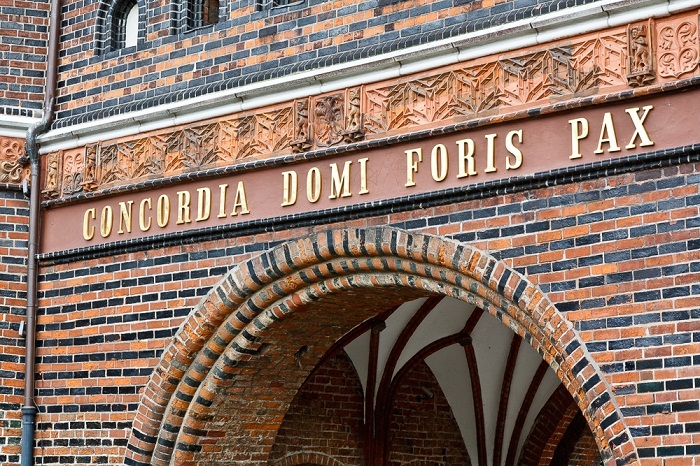 Above the round-arched gateway entrance of the twin-towered construction, the inscription CONCORDIA DOMI FORIS PAX (unity at home, peace abroad) can clearly be seen in golden letters. This magnificent artistry when it was built, a little was known about the foundation where it stands. As only the towers are standing on a “gridiron” with the heavy middle tract resting upon them, the towers unevenly subsided into the marshy ground. In 1863, the Gate looked an appalling sight. 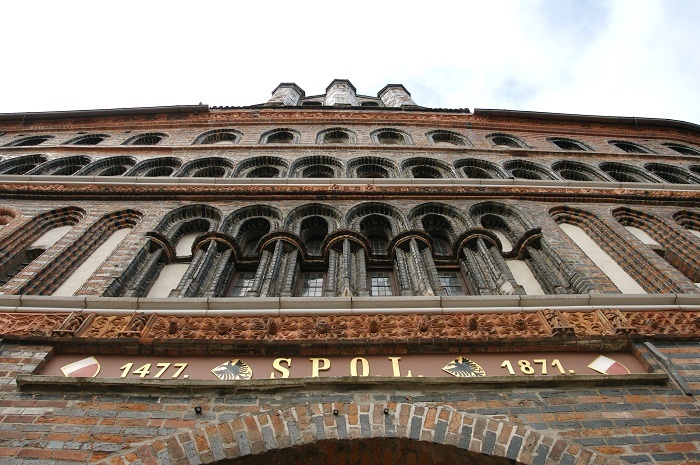 With a majority of just one single vote, the city parliament decided to restore the gate and began extensive restoration efforts. Since then, 70 years passed and the subsidence was stopped. 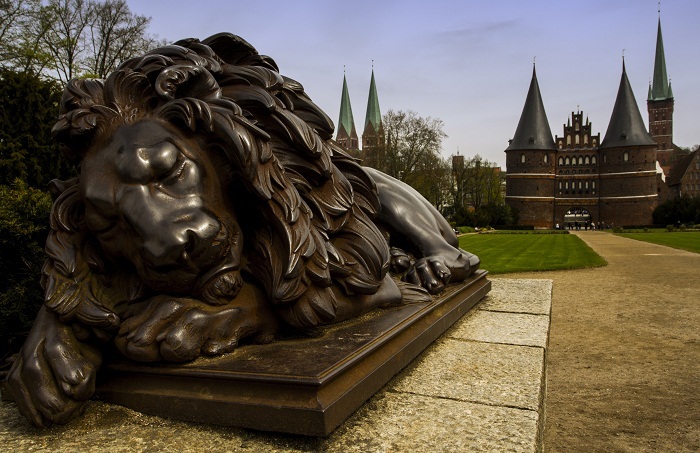 The last restoration was in 2004 in 2006, where only minor detail work was carried out. 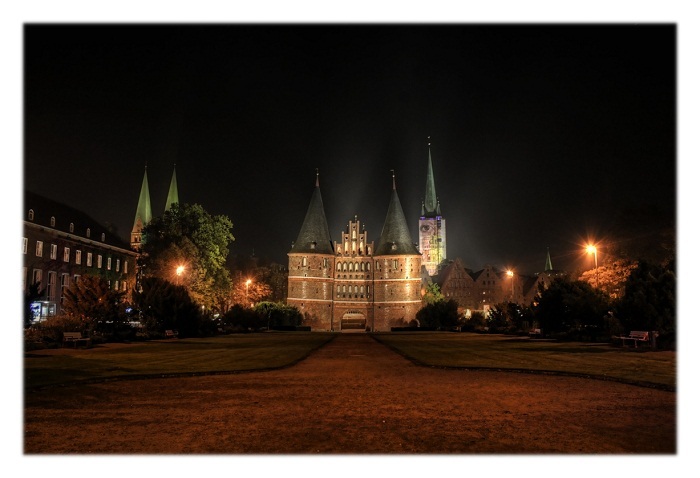 Attractive to many visitors, it is one of a kind alluring place.